In its endeavor, this Women’s Day, there is another reason to rejoice as MTS Karnataka brings for its customers a special tariff voucher – STV 41 the validity of this Special Tariff Voucher is 15 days. 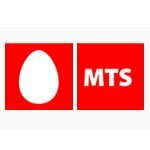 This specially designed voucher provides 100% Value for Money as it entitles MTS prepaid voice customers to free local and STD talk time and SMSs. not a good offer it should give double talktime with 15days val.